Oceanfront vs. Off-the-Water Property in Belize: Have it Your Way! If you've decided to invest in a piece of real estate in Belize, congratulations! You're already on the right track to a solid investment and a wonderful place to vacation or even live year-round. When it comes to choosing the right property in Belize, one of the biggest decisions you will need to make is whether to buy oceanfront property or property just off the water. Discover the advantages and disadvantages of both to help you make up your mind and find the perfect home in Belize. The biggest benefit of owning oceanfront property in Belize is simply being able to see the Caribbean Sea right from your home. Whether you wake up and admire the waves crashing against the shoreline or you sip a glass of wine at dusk and watch the sun set over the horizon, oceanfront views are worth the expense for many residents of Belize. In addition, those who enjoy swimming or other water sports can gauge the water conditions right from their property. For these reasons, oceanfront property in Belize also rents quickly and may sell faster than its off-the-water counterparts. Despite the bountiful pros listed above, there are still some drawbacks to owning oceanfront property in Belize. The first is the expense. Even in a place like Belize, where property prices are far more affordable than other tropical destinations, you will still pay a premium for property right on the ocean. Beachfront properties located in popular areas may also be noisy, particularly on holidays or in peak tourism season. In some cases, oceanfront properties can be at a greater risk if heavy winds or storms hit, although that is an unlikely scenario. However, it is still something to consider before investing in your dream piece of property in Belize. 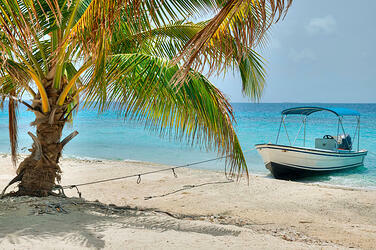 Perhaps the biggest advantage of investing in off-the-water property in Belize is its affordability. Anyone interested in purchasing a vacation home or an investment property on a limited budget might find that their best options are a short walk away from the ocean. These properties may also offer more privacy, since windows and balconies facing the ocean can also be seen in by those people spending the day at the beach. The obvious disadvantage of off-the-water property is simply that it won't provide views of the water or have immediate access to the beach. For that reason, off-the-water properties may have a lower resale value, and they may also command less money if they are used as vacation rentals. Despite these disadvantages, however, many residents love their off-the-water properties in Belize and find that the privacy makes up for the short distance to the nearest beach or body of water. In Belize, being close to the ocean is a serious perk, and the great climate means that water activities are a year-round possibility. Knowing the pros and cons of oceanfront and off-the-water property can help you find the perfect place to live in Belize. Get more information about the benefits and reality of owning property in Belize for vacation or year-round living.